At Muvi, we place the privacy of data and security of all information shared between your site visitors and paying customers with your platform as well as information between your platform and Muvi at top most level, which is why starting immediately all our customer’s live websites are now migrated or will be migrated in a phased manner to the https protocol and will have a SSL Certificate. 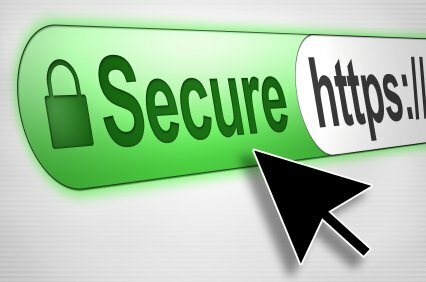 SSL is the backbone of secure Internet and it protects sensitive information as it travels across the world. It keeps the Internet from being ruled by anarchists and criminals and provides many direct benefits to you and your customers. Encrypted Information – SSL certificate ensures the data you send online are read by only the intended recipient and none else. In this process, the data traverse multiple computers before they reach the recipient. On the way, the data could be accessed by unauthorized third parties. However, SSL makes some changes in the original data so that the data cannot be read by the third parties. Provides Authentication – Having SSL certificate ensures authentication. By authentication, we mean interpreting the sent data to the target server and not to unauthorized third parties. This is important because, as we have said, the data travels across multiple computers and can be accessed by unintended third parties. Before selling a SSL certificate, the provider performs multiple checks for your identity. They will sell it only when they verify that your website is a genuine company/business. A SSL authenticated website shows a lock icon; and the page URL starts with https:// and not http://. This makes it easy for visitors to know that the website is safe to make transactions with and helps the site gain their trust. Guards Against Phishing – A phishing email contains a link to an identical copy of the genuine site. When you use your data like user name, passwords, etc., on this site, the data can be accessed by unauthorized elements. Having SSL certificate stalls their access, because your customers trust only sites with SSL certificate. When the unauthorized site does not have this feature, your customers are unlikely to move forward. Thus, you protect your customers from phishing attacks in your name. Offers Added Brand Power – Companies that provide SSL certificates often offer site seals and other images that indicate well-trusted encryption is in use. Displaying these branded icons gives customers an added level of assurance that their information is safe as it travels. Improves Customer Trust – All of these elements work together to create trust between a customer and a business. Providing your customers with security for all of their information and giving them ways to verify that security improves confidence and helps to ensure a positive buying experience. Increases your Site’s SEO Score – Google has announced that going HTTPS will give you a minor ranking boost. Google says this gives websites a small ranking benefit, Google also said based on their tests for the past few months, the HTTPS signal showed “positive results” in terms of relevancy and ranking in Google’s search results. With Muvi, our customers can always be assured of industry leading features delivered to them month on month, and this addition of SSL Certificate to their websites is just a small step which goes long way in the commitment Muvi has towards the success of its customers businesses.